Good for your teeth. Rich in polyphenolic flavonoids—compounds with antibacterial properties—pomegranate juice has been found to be just as effective as prescription mouthwash at ridding the mouth of plaque, the bacteria that causes cavities and gingivitis. My mom is the biggest fan of pomegranate and is always trying to get me to eat them. I think I need to give it a try. At least I know I enjoy drinking it. you've inspired me to try adding this to my next morning blend - amazing photos! Gorgeous images, lady! 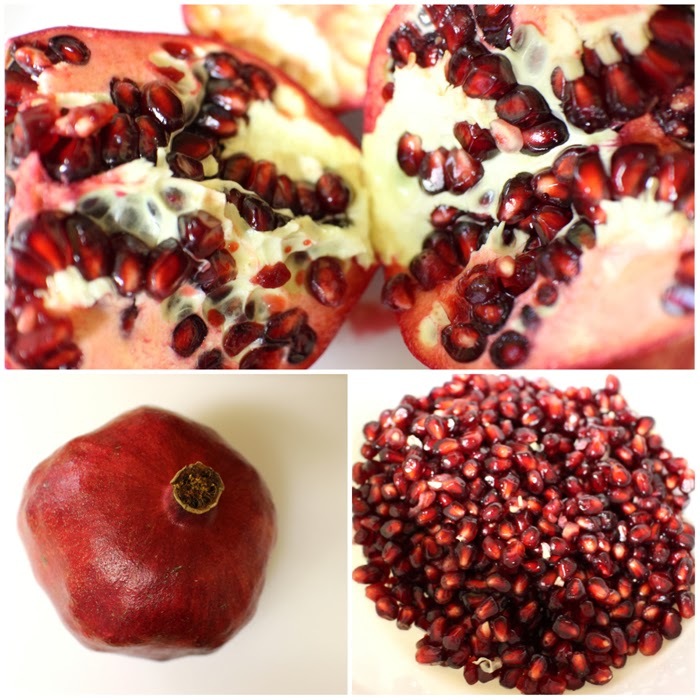 I've always enjoyed pomegranate seeds in champagne (a tradition at my in-law's for holidays! ), but I've never juiced one myself. This needs to happen soon! completely irrelevant to your post ... but do you get my email responses to the comments you leave on my blog? Yes, I do! Did I miss something?